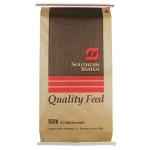 Southern States 16% Llama/Alpaca Ration is a complete pelleted feed for mature, growing, pregnant and lactating llamas and alpacas. 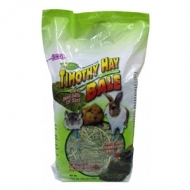 It contains all the the required nutrients to maximize health, reproduction, growth, lactation and fiber quality. It is formulated with higher levels of protein and fiber and has a higher recommended feeding rate that other available camelid feeds because it is designed to be utilized in feeding programs with warm season forages in the southeastern United States.